Many wines from across the globe land on our desks. Some are selected by us and some recommended to us. It’s my pleasure to present the 30 best value, quality fine wines we source for our Shanghai customers. We sample every style imaginable from the New & Old World, young & aged, oaked & unoaked, fresh & weighty, hearty & soft, spicy reds, sweet desserts, aromatic whites, sparkling roses, screw tops & cork sealed, bottle & box. Assessment is objective, rational, considered (sometimes even romantic). Their suitability for inclusion in our mission to bring the best value wines to a discerning audience is determined through long hours and many repeat tastes. It’s a dirty job, but someone’s got to do it. Quality is the first criteria but Price is key. The balance between quality and price must be right. There are other considerations. Some products we adore have negative supply issues, such as intermittent or weak logistical support. If we feel there might be an issue we omit the wine. Our recommended list reflects those that made it through that stage. Some successful candidates are later removed if the wine no longer meets our existing guidelines or our assessment criteria change. In our book, value doesn’t mean cheap. It doesn’t mean poor quality, either. It means “particularly notable quality for the price“. When considering this premiership list we take a closer look at flavour profiles, availability, consistency of supply, vintage changes, general appeal versus specific interest, focus group responses and flexibility of use by occasion and price. They still have to taste nice too (though according to some research and one of my blogs it apparently isn’t that important for some consumers when selecting and reselecting their wines. Mmne…odd world, we live in). Anyhow, for those that want to know where the best bang for the buck might reside, highlighted here are 30 wines priced between RMB75 and RMB523 which The Wine Man feels best reflect the ‘particularly notable quality for the price‘ adage. Italy, Spain and the New World continue to offer the most interesting and consistent quality versus price ratios. Interestingly, all but one of the tier 3 and 4 wines who make it to the top 30 are Italian, such is the their value right now. Click on any link to find out more of what we think of these wines. Any of these 30 show exceptionally high quality for the price and will continue to do so well into 2012. From this list we have selected 3 from each grouping (tier 3 and 4 were combined) and then from those, a best red and white wine. See below. Several of these wines are now medal winners and the Chinese made Silver Heights is now awarded best Chinese Red wine at the Annual wine Challenge at Shanghai Hilton (August 2012). Watch out for the soon to be released Mifan Mama cookbook that tells in humorous style how best to make interesting meals in the less than satisfactory kitchens that pervade in SH. Many of the wines featured on this list and others in our portfolio are matched to around 24 of those recipes, with up to 4 wine recommendations per recipe (when I really got carried away!). We will let you know when that is available and where to get hold of a copy. Proceeds, of course, to the wonderful childrens’ charity and (I expect) Shining Stars too. We have updated & redesigned & doubled the size of this pack into a neat variety of popular styles! Now a Global Pack; already popular wines are joined by a top selling Aussie Sparkler, a couple of interesting everyday wines, including our top selling red wines from both Argentina & France. Perfect pack to begin exploring! So Yummy, that our friends regularly argue this is just like champagne. IMHO, it is NOT like Champagne at all. It is less complex. It is ten times cheaper. There is no hype here either. Just a sturdy, refreshing, dry, crisp bubbly with an apples character. Serving: don’t need to over-chill it; 10°C is fine. You can afford to drink it all summer (and all summer long you will wonder why other folks dream about those elusive champagnes that cost the earth and are often over dry, over biscuity or plain rubbish). De Bortoli is solid from top to bottom. We love this company! Our joint top selling white wine, amazing quality for the price and a wine which we drink at home every week. A top seller even before they started winning competitions. Pale straw with green hue. Zesty lemon citrus and stone fruit aromas balanced with buttery oak notes. Fruit-driven wine with crisp acid, great texture and balance on the mid palate. The subtle oak approach has given added structure to the wine without overpowering it, leaving the citrus and stone fruit flavours to dominate. The 2010 was a gold medal winner, the 2011 was a bronze. We’ll see which accolades this vintage (2012) walks away with. Now we know: a commendation at Decanter. “Yum Yum”, says the Wine Man. Note: We now understand that the De Bortoli Sacred Hill Range IS the Family Selection in a different packaging. So, for example, the DB Sacred Hill Chardonnay and DB Family Selection Chardonnay are the same wine. The two are inter-changeable. Fruity, spicy and with backbone. From the house of Callia. These guys are going to be like the ‘De Bortoli of Argentina’ for us. Masters of low price point attractive wines. Best part is they keep getting better and better each year. A simple fruity glugger with some complexity that suggests we are drinking at a level a little above it’s price-tag. Better than some wines twice its price (but not on our lists of course!). Supple, well balanced and fruit-driven with lingering final notes of fruit ripeness that enhance its aromas. Spicy aromas and a blend of red berry fruits. There is a whiff of vanilla on the nose. A deep ruby colour. Destemming, traditional fermentation with pumping over and strict temperature control. Aged in vats. Matching suggestions: Perfect match with many dishes, including barbecue, salads and cheese. Serve at: 17℃-18℃. The #1 top selling white at LWwines, it ‘flies off the shelves’. Quality improvements year on year, since inception are astounding. Expect a strong fresh floral wine with an intriguing mix of exotic fruits (passion fruit, grapefruit). The full body is a silken palate and exquisitely intense, with a supportive acidic structure and a prolonged, strong finish. It’s less aromatic than a NZ, nearer to a French Sancerre. Better for a good chill. Something mad is happening in the world of currencies. Instability is leading to price hikes from all the major players. We can only absorb those for so long. The best way we can do that is to sell more wine. Option A: PARTY Supplies: Use us for all your summer parties. Order over 60 bottles of ANY two wines for a whopping 25% discount off our standard price. Meet that criteria and we’ll supply your beers at cost. (remember we do free glass hire too). Option B: Select 48 bottles from the discounted summer sales wines below in multiples of 6. Option C: Lucky Dip (Wine Man picks 24 bottles for ¥1250). Deal! Free delivery (in Shanghai only). Cut and paste ’em back to us or use e.g. ‘6x red #3, 6x #6, 6x #7’ etc…in an email. Delivery on Wednesdays, Thursdays Saturdays and Sundays only for these deals (please pick a preferred day & time, and a second choice). Other times by special arrangement. Please mention us to your new friends and colleagues and if they join our happy club to become ‘at one’ with us, we’ll sneak a treat into your next order. Here is a clear simple and pretty well thought out infographic that covers all the major spectra in wine differentiation. 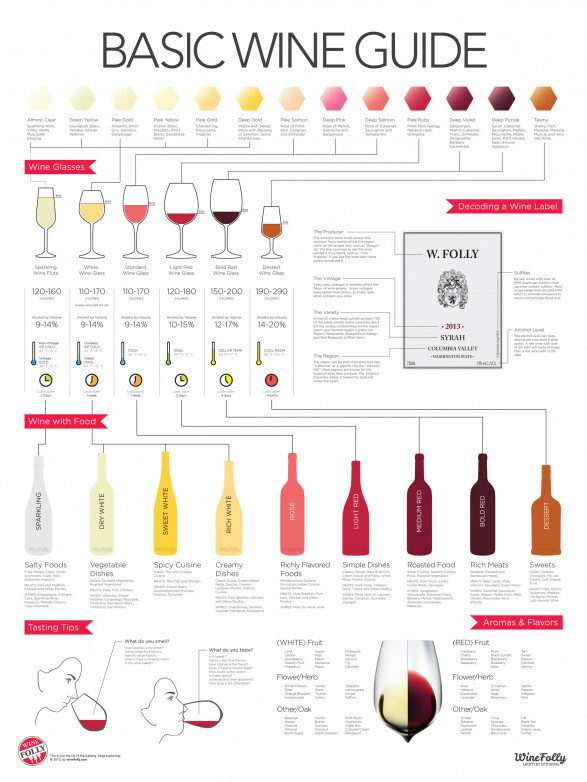 Here an interesting Infographic bestowing all the Wine Styles under the sun… Different types of wine infographic by madelinep.